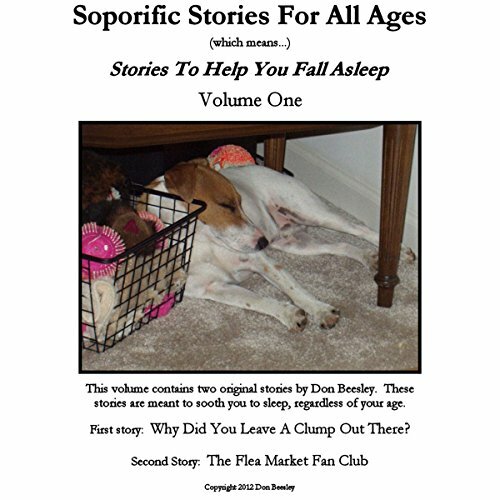 Showing results by narrator "Donald E. Beesley"
This is the first collection in the Soporific Stories for All Ages series. Included in this volume are two stories. The first is "Why Did You Leave a Clump Out There", and the second is "The Flea Market Fan Club". Both stories are Soporific Stories, which means they are meant to put you to sleep. In "Why Did You Leave a Clump Out There", Katrina Kittlekooch wonders why there are small clumps of brush and trees in the farmer's field. "The Flea Market Fan Club" introduces the listener to Captain Brimm and Oscar D. Doggety. If something is soporific, it makes you sleepy. That is the purpose of our stories; to help you forget your worries and outside thoughts, and then drift off to sleep with a feeling of peace. 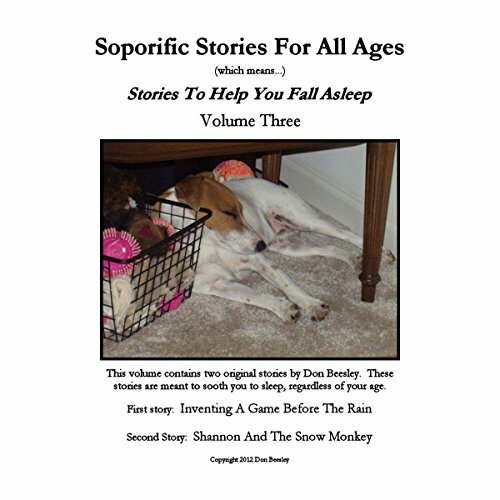 This is the third collection in the Soporific Stories For All Ages series. Included in this volume are 2 stories. The first is "Inventing A Game Before The Rain", and the second is "Shannon And The Snow Monkey". This is the second collection in the Soporific Stories for All Ages series. Included in this volume are two stories. The first is "A Turtle on the Train Tracks", and the second is "The Great Mistake by the Front Yard Gate". Both stories are Soporific Stories, which means they are meant to put you to sleep. Our first story, "A Turtle on the Train Tracks", follows an old turtle with an old ambition. Our second story, "The Great Mistake by the Front Yard Gate", is told in rhyme. Our narrator arrives home after dark and cannot open the gate.